Newton, Brandi. "Bow River". The Canadian Encyclopedia, 22 June 2017, Historica Canada. 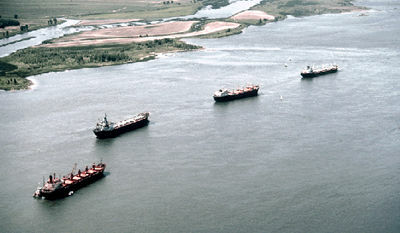 https://www.thecanadianencyclopedia.ca/en/article/bow-river. Accessed 25 April 2019. ​The Bow River runs through the most populated region of Alberta, intersecting cities such as Banff, Canmore, Cochrane and Calgary. The Bow River runs through the most populated region of Alberta, intersecting cities such as Banff, Canmore, Cochrane and Calgary.It is also one of the most managed rivers in the province, with numerous dams and reservoirs located along the river, supplying water for hydroelectricity, irrigation, and municipal and industrial uses. 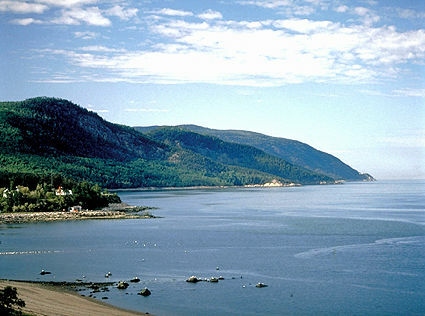 The river, as well as its tributaries and reservoirs, is also used for numerous recreational activities including world-class sport fishing. 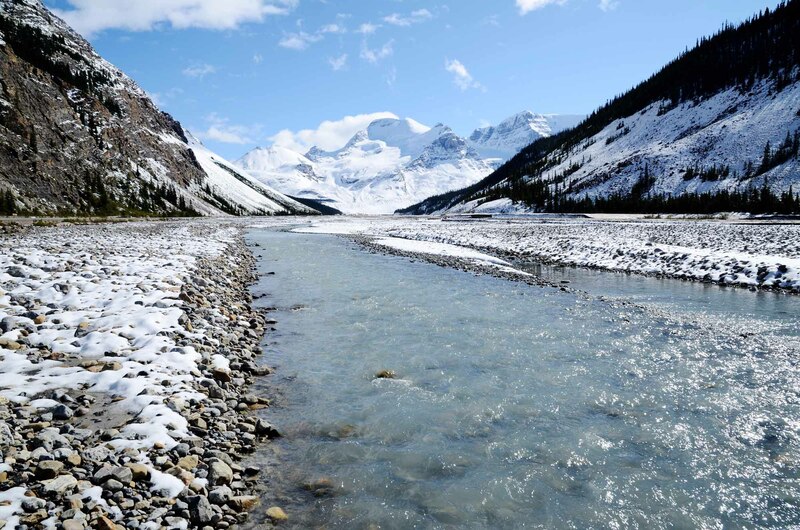 Winter snowfall at the Rocky Mountain headwaters supplies the majority of annual flow on the Bow River; however, streamflow can vary considerably from year to year and is subject to frequent periods of drought. The view of the Rocky Mountains from across the Bow River as it runs through Banff, Alberta. The Bow River begins at Bow Lake. It’s fed by the Bow Glacier in Banff National Park, and flows southeast past Lake Louise and Banff, where it’s joined by the Spray River before continuing east. Once exiting Banff National Park, the Bow flows past Canmore and is joined first by the Kananaskis River, then the Ghost River at Ghost Reservoir. The Bow flows past the Bearspaw Dam, through Calgary, is joined by the Elbow River before first shifting south, then runs east once it exits Calgary. It continues east across the prairies, is joined by the Highwood River and shifts southeast past the Bassano Dam. The Bow ends at the confluence with the Oldman River, and these two rivers combine to create the South Saskatchewan River, which ultimately flows into Hudson Bay. The Bow River flows from a steep, mountainous environment, through foothills forests, to prairie grasslands and wetlands. The upper portion of the river is characterized by subalpine fir, Engelmann spruce, and lodgepole pine. As it moves toward prairie environments the vegetation shifts to trembling aspen, white spruce, poplar, birch, fir, mixed herbs and tall shrubs.Vegetation alongside the river includes cottonwood, river alder, willow, poplar, water birch, and red-osier dogwood. A large portion of the natural habitat in the lower Bow River Basin has been altered for farming and livestock grazing. Wildlife in the mountainous upper Bow River basin includes bighorn sheep, elk, moose, wolf, cougar, black bear, and grizzly bear. The foothills forests and prairie grassland are home to white-tailed and mule deer, coyotes, Richardson’s ground squirrels, grouse, hawks, waterfowl, and migratory birds. Numerous fish species live in the Bow River, including brook, brown, rainbow, bull, and cutthroat trout, whitefish, burbot, sturgeon and walleye. Muskrat, beaver, mink, falcons, hawks, eagles and waterfowl also live in river environments. The Bow River is heavily used by people in the area, with about half of the average annual flow being consumed by agriculture, irrigation, municipalities and industry. These uses put a strain on the river, as a minimum river flow is required to maintain adequate aquatic and wildlife habitat. During periods of drought, river volume may not be adequate to meet these demands. For this reason, the river is closed to new water withdrawal licenses. 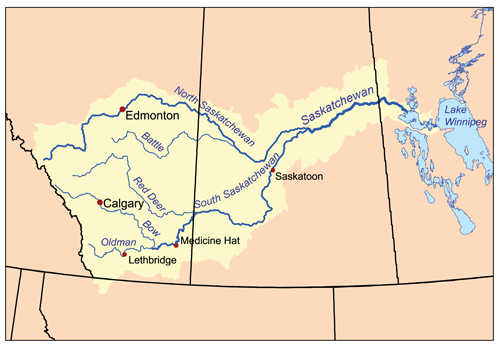 While the water quality of the upper Bow River is good, the middle and lower portions are affected by various contaminants, including agricultural runoff (e.g. pesticides and fertilizers), urban stormwater and waste from industrial activities and a wastewater treatment plant in Calgary. In addition, the natural flow of the river is altered by four hydroelectric dams upstream of Calgary, two of which have storage reservoirs. Dams control the flow of water from reservoirs so that there is always enough water to produce hydroelectricity. Seasonal demand for electricity and irrigation result in higher than natural flow during winter months and lower than natural flow during spring. Dams and weirs present physical barriers to the movement of fish in the river. The river is also affected by agriculture, as diversions for irrigation downstream of Calgary decrease streamflow in the growing season. Low streamflow during summer months can result in higher than normal water temperature, creating stress for cold water aquatic species and not enough hydration for shoreline vegetation.Moreover, fish often die when drawn into irrigation canals. When the Bow River floods, it can have devastating effects on the populous communities that surround it. In June 2013, southern Alberta experienced such a flood, of one the costliest natural disasters in Canadian history.Several communities were affected, over 100,000 people were evacuated and five people died. Widespread infrastructure damage, including houses, roads, buildings and bridges, was estimated at $6 billion. 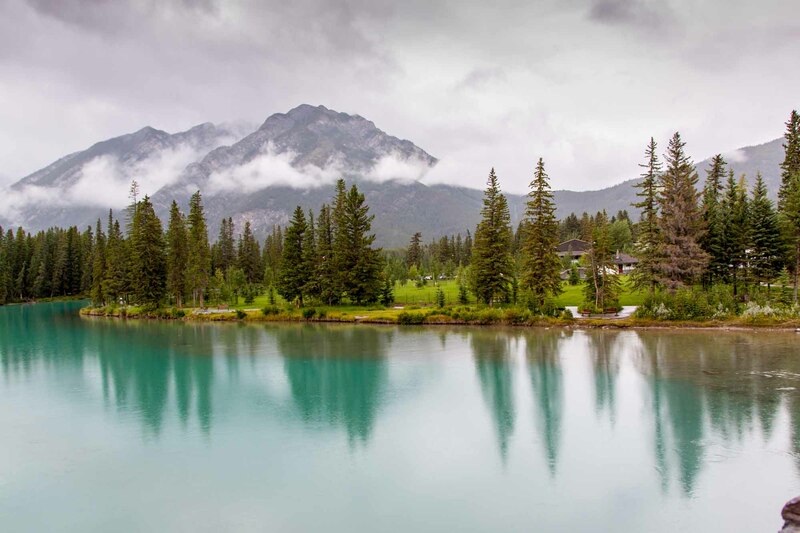 The flood, extending from Canmore to Calgary, was caused by a combination of higher than normal snowpack in the Rocky Mountains, a wet spring causing high soil moisture, and torrential rain beginning June 19. First Nations peoples, including Piikani, Kainai, and Siksika of the Blackfoot Confederacy, as well as Tsuut’ina and Nakoda, have inhabited the Bow River Basin for more than 10,000 years. The Bow River and surrounding area provided essential sustenance as well as an important transportation corridor for seasonal movement. The Nakoda were the only nation to establish a fishery in the Bow River, while other groups used it to strategically drive the bison hunt. 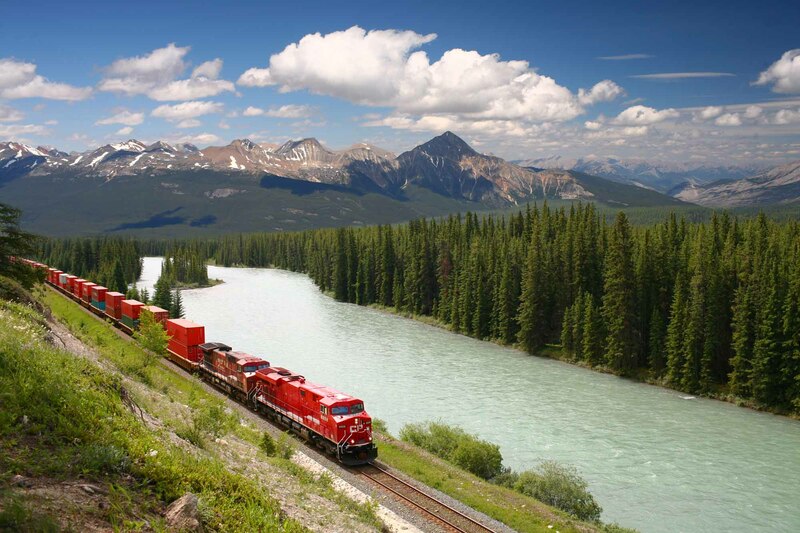 A freight train runs alongside the Bow River in Banff National Park, Alberta. The first European to explore the Bow River was David Thompson in 1787–88. Attempts were made to set up fur trading posts, but inadequate resources meant they closed quickly. Early European settlement centred around farming and ranching in the Bow Valley and commerce in Calgary. The fertile soils and lengthy growing season was conducive to farming oats, barley, wheat, and livestock, and irrigation structures were soon built. The Bow River provided food and a transportation route for settlers and merchandise. Calgary was established as a fort in 1875, and the Canadian Pacific Railway was completed to this point by 1883 — an event that facilitated settlement and the transportation of agricultural products. With European settlement came diseases, and several epidemics decimated First Nations populations in 1781, 1819-20, 1837-38, and 1869-70. Bow River Project Research Consortium, Bow River Project: Final Report (2010); C. Armstrong, M.D. Evenden and H.V. Nelles, The River Returns: An Environmental History of the Bow (2014). Bow River Basin CouncilFind information on the Bow River, including maps and videos, on the Council’s website.